Editor’s Note: Following this article’s publication, the Louisiana Real Estate Appraisers Board issued a new statement regarding the stipulation and order it entered into with Coester Appraisal Management Group. The Louisiana Real Estate Appraisers Board has fined an appraisal management company $5,000 for failing to pay “customary and reasonable” fees to appraisers. 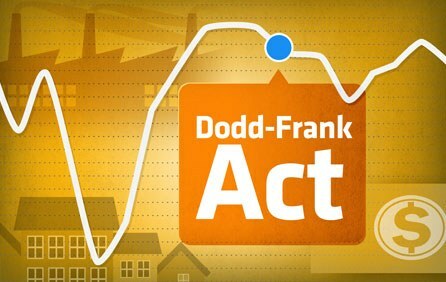 It marks the first time a state has taken action against an AMC under a provision of the Dodd-Frank Act. Coester Appraisal Management of Rockville, Md., was ordered Thursday by the Louisiana appraisal board to use a third-party appraisal fee schedule compiled by the Southeastern Louisiana University Business Center in Hammond, La. The company also must submit detailed quarterly activity reports to the state appraisal board for a year and forfeit all rights of appeal, said Bruce Unangst, the board’s executive director. Coester, which has a network of roughly 3,000 appraisers in 50 states, did not admit wrongdoing. The company’s lawyer, Robert Rieger, with Adams and Reese LLP, declined to comment. A provision of Dodd-Frank requires that mortgage lenders pay appraisers “customary and reasonable” fees. But appraisers have long complained that AMCs take a cut of their appraisal fees, in violation of the law. The Dodd-Frank appraisal standards were created to address the fee compression that is said to have resulted from the Home Valuation Code of Conduct, which took effect in 2009 and barred loan officers and brokers from selecting appraisers. Many blame the HVCC — which sought to prevent commissioned sales representatives from bullying appraisers into inflating valuations — for driving business to appraisal management companies that act as middlemen. Traditionally, AMCs took a cut of the fees for the appraisals they arranged. I am asking you to take a moment from your busy day to PARTICIPATE in an important industry effort. In General – Lenders and their agents shall compensate fee appraisers at a rate that is customary and reasonable for appraisal services performed in the market area of the property being appraised. Evidence for such fees may be established by objective third-party information, such as government agency fee schedules, academic studies, and independent private sector surveys. Fee studies shall exclude assignments ordered by known appraisal management companies. What is the deal with PCVMurcor? A holes of the decade. PCV was one of the first appraisal management companies I worked for when the HVCC was passed. Not only were they one of the great companies that saved me from bankruptcy, but they had great fees and were easy to work with. Over the last few years, the company once known for being fair and loyal to appraisers quickly has become one of the most hated appraisal management companies around. First it was the gradual lowering of fees, then came the excessive review department. Honestly their reviewers had to have been paid to find an error on every single file, regardless of how silly the request was. Every single file, to explain an adjustment that was already explained, etc… More detail or explanation when not needed. I assume since there were no other error standing out on the appraisals I sent in, that the requests just became more and more silly. It was horrible, and I was not the only one to refuse work from them. Occasionally I still get requests from them though. I am shocked at how low their fees are these days. They are one of the major reasons why appraisers are still not getting customary and reasonable fees. They work on an appraisers fear. If you do not accept their low fees or try to get more money, they won’t send you offers anymore. If that is one of your primary clients, you become worried about making ends meet and paying the bills. What are you to do? SIGN UP TO BETTER AMCs! GET MORE ESTATE WORK! This is the only way our industry will improve. This is the only way to put these losers like PCV Murcor out of business. Want to know the worst thing about PCV Murcor? From their website they have been practicing ‘appraiser independence’ since 1981. The company was founded by an appraiser, and is still owned by an Appraiser who holds a MAI designation. Wow, what an A hole. That appraiser should get the biggest A hole appraiser of the century award. Helping to destroy our profession. Who is he/she? I really want to know. Is the owner / current owner Keith Murray? That is the information I found on their about page. What a complete looser and one of those bottom feeding appraisers that is against the fellow appraiser, not looking to help each other out one bit. Amazed…. Owned and operated by an Appraiser. What a real jerk. So do everything you can to help make this industry better. There are a TON of great AMCs out there. There is so much estate work around that you should be more than busy. If you have any feedback, please leave it here and I will get back to you. If you know of any other bottom feeder AMCs that people should completely refuse work from, please list them here as well. Now is the time to take back our profession. There is way more work than appraisers these days. We must demand customary and reasonable. This past February, the American Society of Appraisers and the National Association of Independent Fee Appraisers (NAIFA) contacted the Consumer Financial Protection Bureau to explain the importance of itemizing the separate fees collected in the appraisal process for the prototype Good Faith Estimate (GFE) and settlement forms. The CFPB continues to test different variations of the forms, the ASA and NAIFA sent another letter to reiterate the importance of separating the AMC fees from what is paid to the appraiser. On Capitol Hill, the American Guild of Appraisers (AGA) is petitioning the Federal Reserve Board and the Consumer Financial Protection Bureau to overturn a recently adopted rule that stands in opposition to regulations contained in the Dodd-Frank Act. The legislation in question was put in place last year by the Fed, and the regulation allows appraisal management companies (AMCs) to cut fees for appraisers. In its petition, the AGA stated that AMCs control up to 80 percent of the appraisal market and that, by allowing such companies to pay appraisers only a fraction of customary and reasonable fees, the law makes it possible for AMCs to offer fees that are nearly 50 percent below prevailing appraisal rates.